Couture Creations HOT FOIL AND LETTERPRESS MACHINE GoPress CO725334 at Simon Says STAMP! CO725334 This item is on reserve until If you would like to reserve this item now, you may purchase it now with the rest of your order. We will hold your order now and ship your entire order as soon as this item is back into stock. If you would like your order to ship now, please place this item on a separate order. 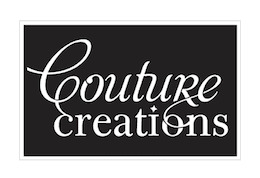 Success, Couture Creations HOT FOIL AND LETTERPRESS MACHINE GoPress CO725334 has been shared! Add foil to chipboard, cardstock, ribbon and more. The machine has a heating unit that warms to 90 degrees. Open cover and place a metal shim on the heated platform 30 seconds to 1 minute. Add foil colored side down and a little larger than the item to be foiled. Add the chipboard, close cover, slide platform from heating unit and run through a die-cutting machine. Open cover for a beautifully foiled chipboard. Wafer thin dies or hot foil stamps can also be used. Place the die or stamp without a shim on the heated platform for about 30 seconds to 1 minute, cover with foil colored side down and cut close to the size of the stamp or die, cover with cardstock or other material. Close cover of platform, remove from heating unit and run through die-cutting machine. Peel off extra foil to reveal design. This package measures approximately 10 x 4 x 17 inches.